During the last half-century, DVRPC planners have collaborated with all levels of government, public and private entities, and citizens to guide the movement of people and goods, protect the environment, support smart growth, and enhance a growing economy. 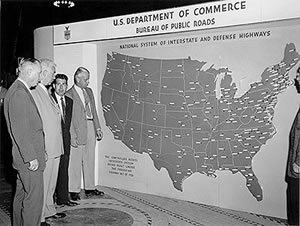 Take a look at the changing face of transportation and land use planning since DVRPC began in 1965. 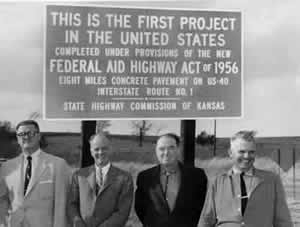 President Dwight Eisenhower signs the Federal-Aid Highway Act, providing the impetus for regional transportation planning. The Penn Jersey Transportation Study is established to begin regional transportation planning for the Delaware Valley region. The Federal Housing Act authorizes $75 million for public transportation demonstrations/construction loans to solve commuting problems in urban areas. Federal Aid Highway Act paves the way for Metropolitan Planning Organizations (MPOs). SEPTA is created by the PA Legislature. 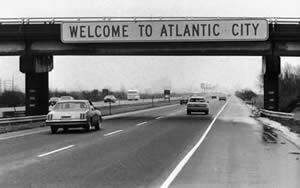 The Atlantic City Expressway opens. 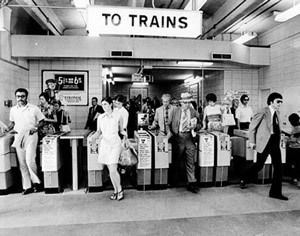 The Urban Mass Transportation Administration created, later known as Federal Transit Administration. 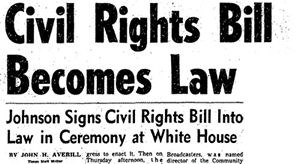 The Civil Rights Act is passed. DVRPC is created by an act of the Pennsylvania Legislature, signed by Governor Raymond Shafer, to replace the Penn Jersey Transportation Study. 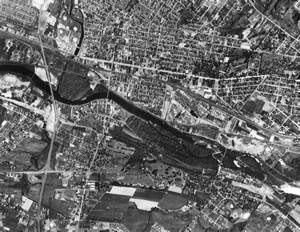 DVRPC begins "flying the region," providing aerial photography that establishes a baseline for land use data, a practice that has continued every five years through the present. The Motor Vehicle Pollution Control Act sets the first federal vehicle emissions standards. The Water Quality Act directs states to set water quality standards. The NJ Senate approves companion legislation to Pennsylvania, formalizing DVRPC as a bi-state compact. The Spectrum arena opens in South Philadelphia as home to the Flyers and 76ers. 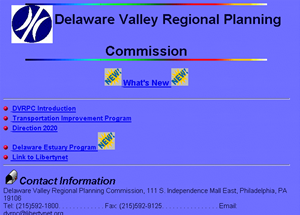 DVRPC's first long-range plan (The 1985 Delaware Valley Plan) is adopted, and includes land use, transportation, open space, parks and recreation, water supply and sewage disposal elements. The Internet is invented by the Advanced Research Projects Agency at the U.S. Department of Defense. 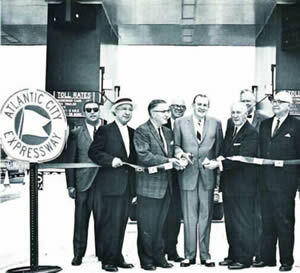 The PATCO Hi-Speedline begins service. 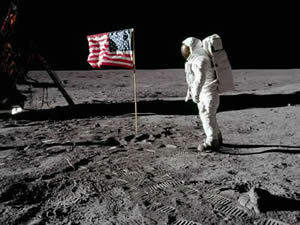 Man first walks on the moon. The National Environmental Policy Act (NEPA) is signed into law. DVRPC begins regional research, including travel forecast models, population and employment forecasts, a housing element, and open space standards for communities. 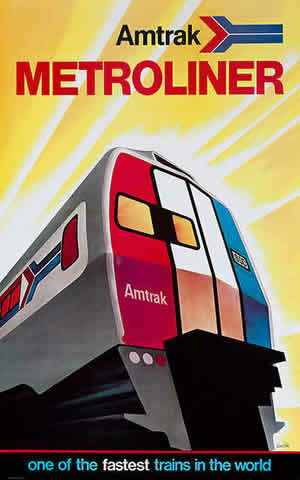 The Rail Passenger Service Act creates Amtrak and ensures funding of intercity passenger rail service. 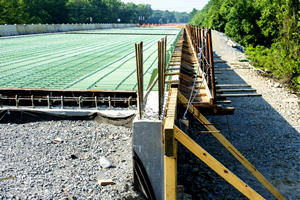 DVRPC takes on water supply planning, natural resource/solid waste management, historic preservation, scenic roads and trail plans, and initiates six-year capital programs for highways and mass transit. The Clean Air Act is revised, regulating air emissions from factories, motor vehicles, and other emission sources on a national scale for the first time. 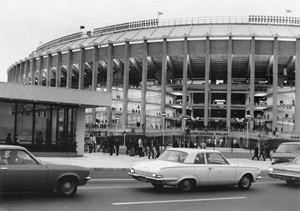 Veterans Stadium becomes home to the Eagles and Phillies. 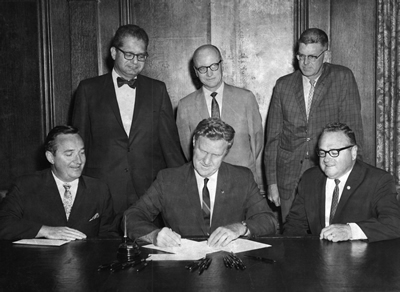 The U.S. Environmental Protection Agency (EPA) was created. The Coastal Zone Management Act is passed to encourage coastal states to develop coastal zone management plans. 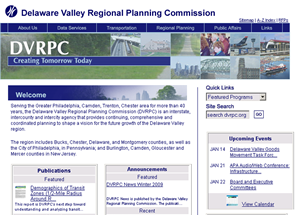 DVRPC adopts a Regional Housing Allocation Plan to the Year 2000. The Commodore Barry Bridge opens and the Chester-Bridgeport Ferry runs for the last time. 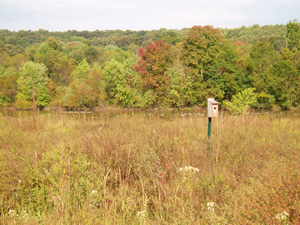 DVRPC begins work on an area-wide watershed management plan to provide surface and groundwater protection, under Section 208 of the Clean Water Act. DVRPC provides carpool matching/vanpool formation services in response to gasoline shortages; the program continues today as Share-A-Ride. The U.S. 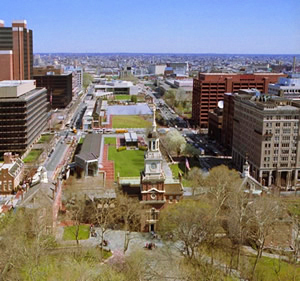 Bicentennial comes to Philadelphia. The Betsy Ross Bridge opens. DVRPC's travel forecasting model/analysis helps advance major new facilities, including I-95, US Route 202, Vine Street Expressway, Blue Route, US Route 422, NJ Route 55, I-295 and the Schuylkill Expressway. DVRPC adopts the Year 2000 Transportation Plan, maximizing the use of existing facilities and public transit, and promoting environmental protection. DVRPC's study of mobility alternatives for commuter rail service assists the SEPTA takeover of the Reading and Pennsylvania regional rail lines. 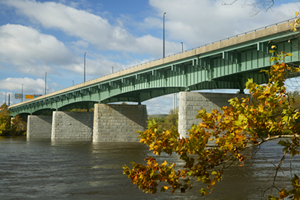 DVRPC assumes responsibility for the Coastal Zone Management Program along the Pennsylvania side of the Delaware River. DVRPC's transit model/analysis assesses the new Center City Commuter Tunnel, Market East Station and the Airport High Speed Line. 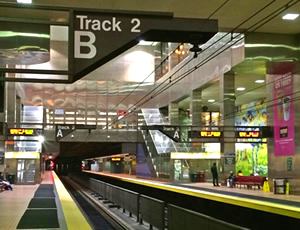 Market East Station (now Jefferson Station) and Center City Commuter Connection open, linking the major rail stations of Philadelphia's downtown. 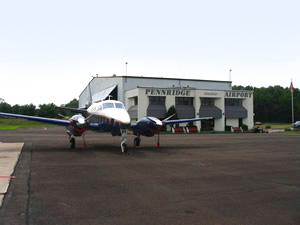 DVRPC prepares a Transportation Systems Management Plan and Regional Airport System Plan. The SEPTA Airport Line begins service. The last section of I-95 is completed in Pennsylvania, and Route 422 opens in Montgomery and Chester counties. DVRPC adopts the Year 2010 Regional Development Strategy, including a Regional Mobility Policy Analysis and a proposed series of Centers to focus regional development. DVRPC begins using Computer Aided Mapping, now known as GIS (Geographic Information Systems). Train service is restored to Atlantic City. NJ 55 opens to traffic. DVRPC undertakes affordable housing studies and TMA activities. The I-95 Intermodal Mobility Projects get underway. 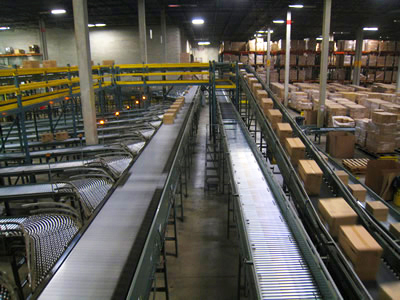 DVRPC's Goods Movement Task Force is formed to better understand the priorities of freight shippers and carriers. 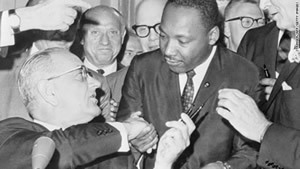 The Americans with Disabilities Act is enacted. The Clean Air Act Amendments of 1990 require that all transportation plans, programs and projects attain air quality standards; DVRPC must demonstrate that its long-range plan and Transportation Improvement Programs (TIPs) conform annually. The Internet becomes more widely used as the World Wide Web (WWW) is developed and released for public use. DVRPC's Commuter Benefit Program is launched, offering a $15/month tax free subsidy for public transit use, continuing today as RideECO. 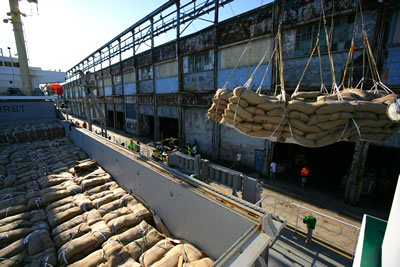 The Intermodal Surface Transportation Efficiency Act (ISTEA) was signed into law by President George H. W. Bush, giving significant additional powers to metropolitan planning organizations. 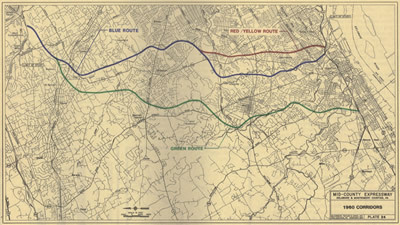 The 20-mile section of I-476 known as "The Blue Route" opens in Delaware and Montgomery counties. 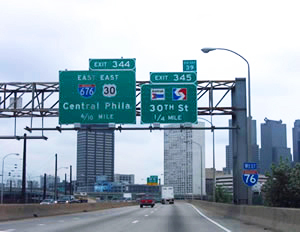 The last section of the Vine Street Expressway opens in Philadelphia. The Adventure Aquarium opens on the Camden, NJ waterfront. President Bill Clinton signs Executive Order 12898 on Environmental Justice, which DVRPC upholds in its plans and programs. DVRPC develops a Congestion Management System to identify congested corridors and assess strategies. 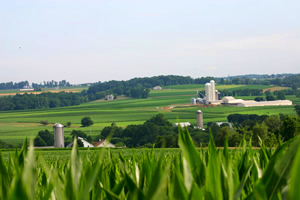 DVRPC adopts DIRECTION 2020, setting forth a vision for the region's land use and transportation needs. 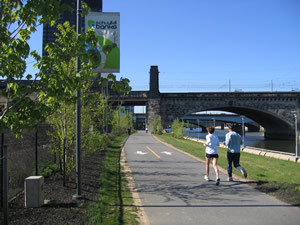 The Mobility Alternatives Program (MAP) is initiated by DVRPC to provide employers with information about travel demand management (TDM) techniques. DVRPC initiates a voluntary air quality program to alert the public about poor air quality days, and to encourage actions to reduce pollution levels. The first E-Z Pass toll collection went into operation on DRPA bridges. DVRPC formed the first Traffic Incident Management Task Force in the region and initiated the Central Jersey Transportation Forum. DVRPC adopts the Horizons 2025 Land Use and Transportation Plan, as well as an extensive analysis and plan for equity and opportunity. The September 11th attacks in New York, Washington, D.C., and Pennsylvania lead to increased planning for safety and security of the transportation system. DVRPC launches the Transportation and Community Development Initiative (TCDI), providing planning grants to local governments to help implement the regional plan. To date, over $14 million and 240 grants have leveraged over $350 million in new investment. Independence Mall is transformed with the National Constitution Center, Visitors Center, and a new pavilion for the Liberty Bell. NJ Transit's River LINE begins service, connecting the cities of Trenton and Camden in New Jersey. DVRPC conducts the Philadelphia Metropolitan Bicycle Travel Survey, the first of its kind conducted in the region. DVRPC's Regional Safety Task Force begins meeting to address transportation safety. 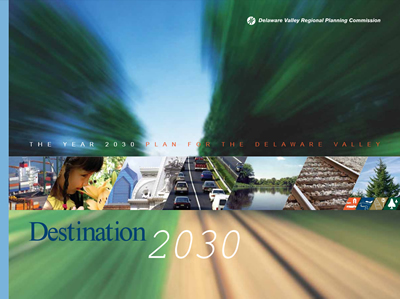 DVRPC adopts the Destination 2030 Long-Range Plan, which includes over 100 significant highway/transit improvements, a regional land use plan, and over 100 specific greenway and conservation areas. DVRPC releases the Post-Global Economic Development Strategy, the first in an ongoing effort to address climate change and energy efficiency in the region. DVRPC partners with PennDOT and NJDOT to create the Smart Transportation Guidebook, a national award-winning effort. DVRPC adopts the first Regional Comprehensive Economic Development Strategy (CEDS), and develops a Regional Integrated Multimodal Information Sharing (RIMIS) system. 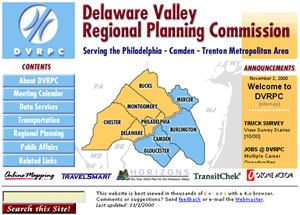 DVRPC adopts Connections 2035: The Regional Plan for a Sustainable Future, which sets goals for managing growth, creating livable communities, establishing an energy efficient economy, and funding a modern transportation system. 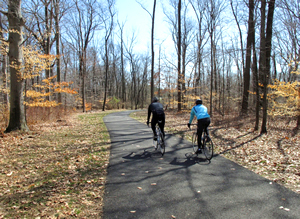 DVRPC develops plans for "The Circuit", a 750-mile connected system of trails throughout the region, funded with a $10 million grant from the William Penn Foundation. 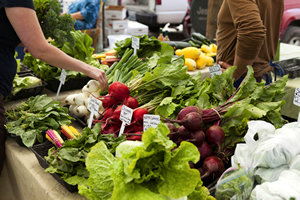 DVRPC releases the Greater Philadelphia Food System Study, the first of several efforts to address food and equity issues in the region. DVRPC launches the Mercer County Bikeability Map, the first local effort to crowdsource planning feedback using a web map interface. President Obama signs into law a new two-year transportation reauthorization bill, Moving Ahead for Progress in the 21st Century Act ("MAP-21"). Superstorm Sandy brings significant damage to the region, leading to increased planning for resiliency and adaptation to climate change. 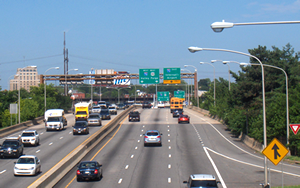 DVRPC develops an operations model for the I-76 Schuylkill Expressway, creating the most comprehensive operations model in the country. DVRPC utilizes Bluetooth detection equipment, video, and pedestrian and bicycle sensors to improve travel data monitoring. US 202 Section 700 opens in Bucks County. 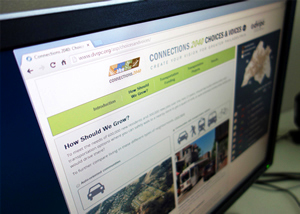 DVRPC adopts the Connections 2040 Long-Range Plan, which continues to link transportation, land use, the environment, and the economy. I-295/I-76/Route 42 Direct Connection project in New Jersey begins construction. Choices and Voices, an online scenario planning tool developed by DVRPC, wins a national award for data innovation. The passage of the Act 89 transportation funding bill in PA enables many projects to be added to DVRPC's TIP and Long-Range Plan. 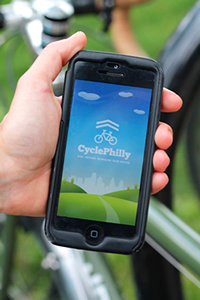 DVRPC installs the first permanent bicycle counting station in the region and launches CyclePhilly, a smartphone-based bicycle route choice survey/data gathering platform. Learn what's in store for our region's future.